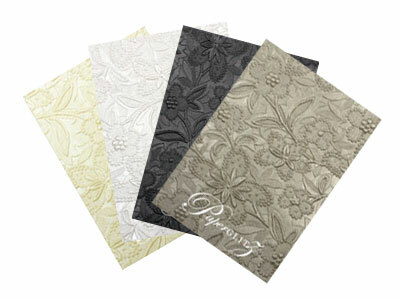 Our range of specialty mill made A4 cards include premium metallic, pearlescent and matte papers. A4 measures 210x297mm. We also stock A3 measures 297x420mm and SRA3 which measures 320x450mm. Custom sizes are available upon request. Our A4 card stock is widely used in the wedding industry for wedding invitations and bomboniere boxes. They are also very popular for special events, corporate stationery, annual reports, brochures, restaurant menus, greeting cards, christening invitations, POS (Point of Sale) and product packaging. We also have food contact approved papers and cards for chocolate and cake packaging! Our A4 card stock only comes from leading paper mills in the UK, France, Italy, USA, Europe & Australia. This is important in ensuring the consistency of colour and finishes between manufacturing batches. The paper we carry today has the same finish and shade as the paper we supplied last year. Smaller mills (such as found in China) can't provide this consistency - so we don't range them. Because we only purchase from reputable mills, we can also proudly say that all of our specialty papers are produced with the environment in mind. We carry certified recycled papers, carbon neutral papers, wind power made papers, acid free papers, chlorine free papers, plantation sourced papers and more. All of our papers come from well managed plantation forests. Buy with confidence - there are no papers in our range that come from illegal &/or irresponsible harvesting of our forests. 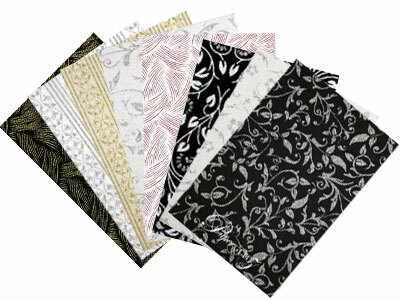 Our paper range is also chosen based on the print-ability of our papers. Nearly all of our papers and cards can be printed on standard home / office laser printers. Many can also be printed on with common ink jet or bubble jet printers (to print on thicker card stock, your printer must accept heavy weight card stock. Our papers are sold as being "compatible" with many but not necessarily guaranteed for your specific printer. Test printing is always recommended before you purchase in bulk). All of our A4 cards arrive into our warehouse in full sized sheets (between 640x900mm and 720x1020mm) in sealed moisture proof mill packaging. We convert them by guillotining & packaging them into packs of 25 or 100 x A4 sheets. Don't waste days waiting for your paper to be outsourced for cutting like some of our competitors! We cut in on the spot to ensure fast dispatch of orders. Can't find the paper you require for your project? 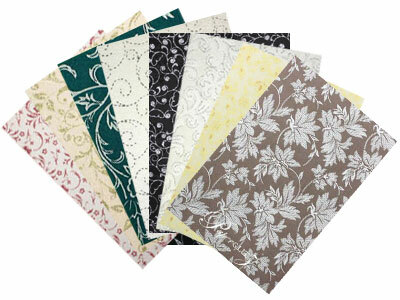 Don't worry, we have accounts with nearly all main specialty paper distributors in Australia. If it's available here in Australia, chances are we can source it for your project (minimum orders may apply - contact us for details). We can guillotine and/or die cut to your specification. Contact us with your project details and we can provide you with a competitive quote. Further we will produce & package it in our own warehouse / factory locally here in Sydney Australia. This means we can generally provide much quicker turn around without having to wait for orders to arrive from overseas. Our precision guillotines from Germany can cut 1150mm wide and can landscape cut all of our mill made papers. We also have 5 x German die-cutting machines with sheet sizes from business cards up to SRA3 (320x450mm) giving us a production capacity of over 100,000+ per day. So whether you need 500 or 5,000,000, we can most likely do it on site! 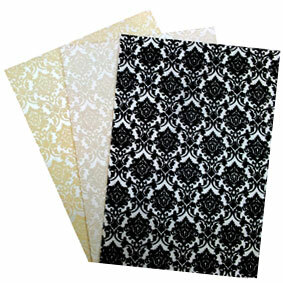 Buy with confidence and specify only "Genuine Paperglitz Specialty A4 Card Stock" for your next project.